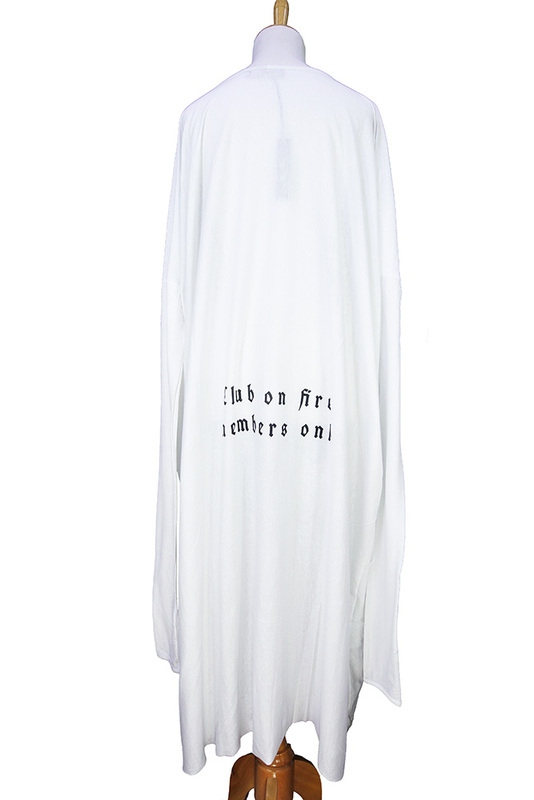 Barbara Bologna 'Smoking Fire Tube Dress' extra long, t-shirt style dress in white jersey cotton. Round neck with trim. Very long sleeves. The design is girls face, made up and with burning matches in the mouth, BURN in black at top. On the rear there is 'Club of Fire members Only' in black print. Another striking garment! (if you forgive the pun). From the Burn Collection. One Size garment.